It’s been a while since I did a WIP Wednesday but thought I’d share what I’m working on as even though they aren’t for me they aren’t finished yet either so it shouldn’t ruin any surprises (and the chances of the recipients seeing them are very slim, the chances of them actually knowing what they are is even smaller! A friend asked me to make mermaid tails for her girls, the spec was ‘pink, purple and sparkly’. Ice Yarns magic glitz was the yarn of choice as it comes in both pink and purple. 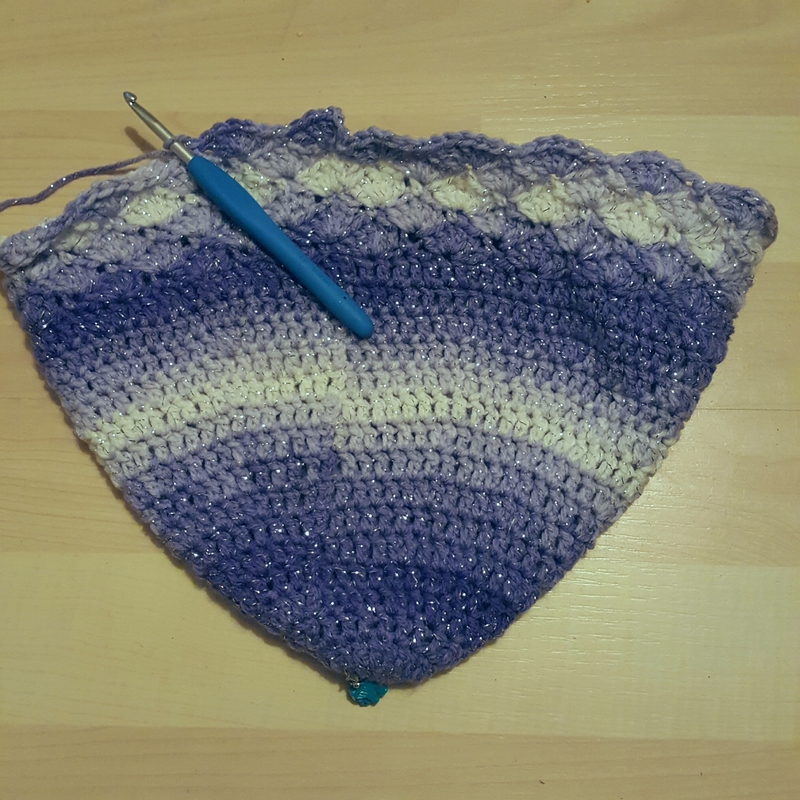 One tail is going to be purple with pink tail and the other will be the reverse, taking advantage of the fact the yarn comes in 400g packs and each tail uses around 350g. The only problem with it is that the metallic thread is a little rough on the tensioning finger, which can begin to feel uncomfortable after an extended period of crocheting. 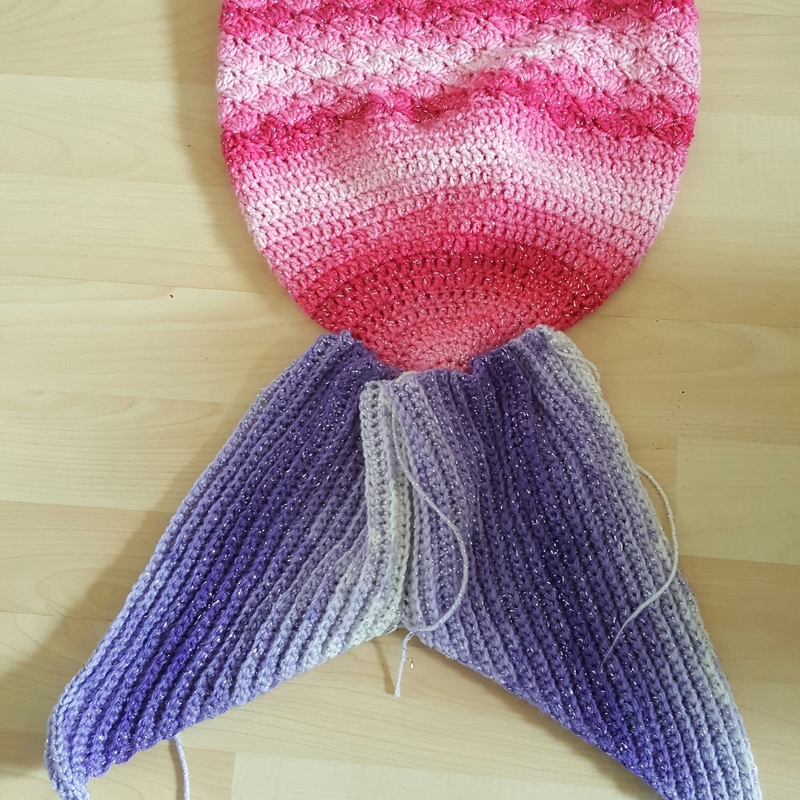 Here is the start of the second mermaid tail which I began working on last night. 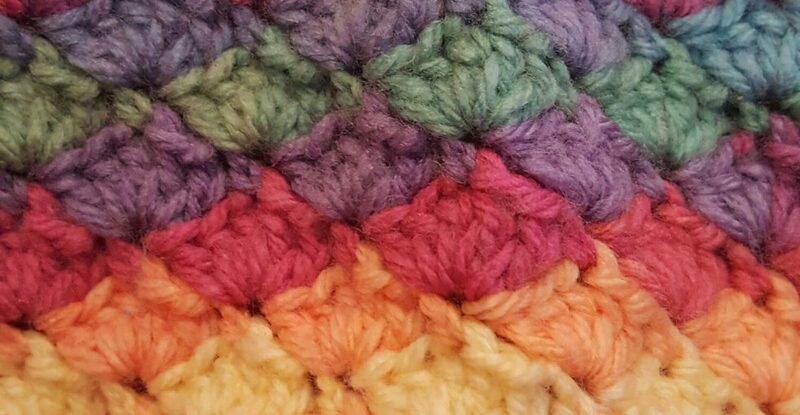 I’m having a little rest from crochet for a while this evening as I had the flu jab and my arm is a bit sore and uncomfortable. Normal service will resume tomorrow, I’m sure. What are you working on right now? Knitting, crochet, any other craft at all, I’d love to know. I am linking this post to Wool on Sundays with the lovely Janine at Rainbow Hare. These look super! Why were they not around when I was a kid?? I love that scallop or shell finish at the edges. They look great! Purple and pink sparkly yarn – my daughter would be in heaven!! I love these but as I dont really crochet I am looking to find a knitting pattern for them. They look beautiful! Just wondering what pattern you’re using? Thank you, it’s an etsy pattern which is well worth buying as it has all of the sizes from baby to adult.